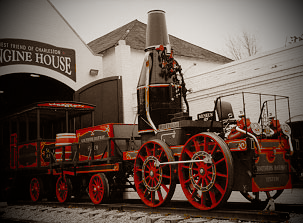 Amazing this thing is still going on after the sailing train comment that was made around the time of PASS Summit 2013. That’s right! If you get two all day sessions for the price of one! Attend just one or both of the sessions that Wayne and I will be presenting. You can see full details at our eventbrite site here. If you are a DBA or a database developer, these sessions are for you. If you are managing a database and are experiencing performance issues, these sessions are a must. 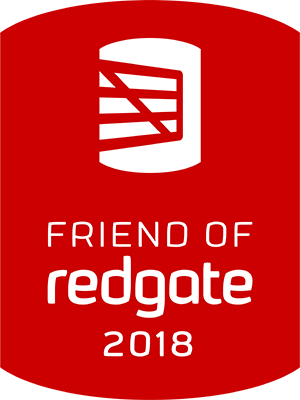 We will chat with attendees about a horde of performance killers and other critical issues we have seen in our years of working with SQL Server. In short, some of these issues are pure murder on your database, DBA, developer and team in general. We will work through many of these things and show some methods to achieve a higher state of database Zen. That is just the Murder session. Here are the details for the XE session. As is commonly the case, all good things come to an end. And now is as good a time as any for the use of SQL Trace and Profiler to come to an end. Let’s face it, Trace was a good tool and had some wonderful uses. Profiler for that matter was a good tool and was useful at times. It is time to let those old tools retire gracefully and move into the world of XE. This full day workshop will provide you the means to let Profiler and Trace be retired from your toolset as you discover all that XE has to offer. This full day session on Extended Events will help prepare you to put this tool to immediate use as you walk back to your daily duties. This workshop will teach you about Extended Events starting with the basics and moving through how to create XE sessions that will get the right data for you, while doing so with minimal impact. You will be exposed to advanced troubleshooting techniques as we work through complex issues that are made easier through the use of XE. Take advantage of this opportunity to dive into the world of Extended Events and learn how you can make best use of this tool in your SQL 2008+ environment. Jason Brimhall has 10+ yrs experience and has worked with SQL Server from 6.5 through SQL 2012. He has experience in performance tuning, high transaction environments, as well as large environments. Jason also has 18 years experience in IT working with the hardware, OS, network and even the plunger (ask him sometime about that). He is currently a Consultant and a Microsoft Certified Master(MCM). Jason is also an MVP for SQL Server. If you will be in the area, and you are looking for high quality content with a good mix of enjoyment, come and join us. You can find registration information and event details at the Louisville SQL Saturday site – here. There are only 75 seats available for this murder mystery theater. Reserve yours now. The cost for the class is $150 (plus fees) up through the day of the event. When you register, be sure to tell your coworkers and friends. Not only will I be in Louisville for these workshops, I will also be presenting as a part of the SQLSaturday event on August 22, 2015 (the Saturday after the workshops which run Aug. 20-21, 2015). You can view the available sessions here. I present regularly at SQL Saturdays. Wayne also presents regularly at SQL Saturdays. If you are organizing an event and would like to fill some workshop sessions, please contact either Wayne, myself or both of us for this session. Welcome to the fabulous world of blog parties, SQL Server and what has been the longest running SQL Server related meme in the blogosphere – TSQLTuesday. This month we are hosted by Catherine Wilhemsen (blog | twitter) from Norway. And interestingly, Catherine has asked for us to talk about monitoring SQL Server. Wow! Talk about a HUGE topic to cover in such a short space. Well, let’s give it a go. I am going to try and take this in a bit of a different direction, and we shall see if I have any success with it or not. Monitoring is a pretty important piece of the database puzzle. Why? Well, because you want to try and find out before the end-users that something is happening. Or do you? It is a well established practice at many shops to allow the end-users to be the monitoring solution. How does this work, you ask? It works, by waiting for an end-user to experience an error or some unexpected slowness. Then the user will either call you (the DBA), your manager, the company CEO, or (if you are lucky) the helpdesk. Then, the user will impatiently wait for you to try and figure out what the problem is. The pros to this solution involve a much lower cost to implementation. The cons, well we won’t talk about that because I am trying to sell you on this idea. No, in all seriousness, the con to this approach could involve a lot of dissatisfaction, job loss, outages, delays in processing, delays in paychecks, dizziness, fainting, shortness of breath, brain tumors, and rectal bleeding. Oh wait, those last few are more closely related to trial medications for <insert ailment here>. If you are inclined to pursue this type of monitoring – may all the hope, prayers, faith and luck be on your side that problems do not occur. This methodology is also rather cheap to implementation. The risk is relatively high as well and I have indeed seen this implementation. In this new approach, we will require that the DBA eyeball monitor the databases all day and all night. At the DBA’s disposal is whatever is currently available in SQL Server to perform the monitoring. It is preferred that only Activity Monitor and Profiler be used to perform these duties. However, the use of sp_who2 and the DMVs is acceptable for this type of duty. The upside to this is that you do not incur any additional cost for monitoring over what has been allocated for the salary of the DBA. This an easy and quick implementation and requires little knowledge transfer or ability. The downside here is – well – look at the problems from the last section and then add the glassed over stoner look of the 80s from staring at the monitor all day. If you have not had the opportunity to use this type of monitoring – consider how lucky you are. This has been mandated by several companies (yes I have witnessed that mandate). Now we come to a multi-forked path. Every path at this level leads to a different tool set. All of these tools bare different costs and different levels of knowledge. The pro here is that these come with lower risk to those suspicious symptoms from the previous two options. The con is that it will require a little bit more grey matter to configure and implement. You can do anything you would like at this level so long as it involves automation. You should configure alerts, you should establish baselines, you should establish some level of history for what has been monitored and discovered. My recommendation here is to know your data and your environment and then to create scripts to cover your bases. One last thought, no matter what solution you decide to implement, you should also monitor the monitor. If the DBA collapses from long hours of eyeball monitoring, who will be there to pick him/her up to resume the monitoring? If you opt to not implement any of these options, or if you opt to implement either of the first two options, I hope you have dusted off your resume! Today we have another installment in what is known as TSQL Tuesday. This month we have an invitation and topic given to us by the infamous Kenneth Fisher ( blog | twitter). Today, the invitation is for us to share our stories on how we like to manage security. Or at least that is the request that was made by Kenneth. I am going to take a bit of a twist on that request. Instead of sharing how I like to manage security, I am going to share some interesting stories on how I have seen security managed. Let’s just call this a short series on various case studies in how to manage your security in a very peculiar way. Or as the blog title suggests, how to manage your security as an afterthought. We have all dealt with the vendor that insists on the user account that will be used for their database and application be one of two things. Either it needs to be sa or needs to be a member of the sysadmin fixed server role. The ensuing discussion with those vendors is always a gem. They insist the application will break, you as the diligent DBA prove otherwise, and then the senior manager sponsoring the application comes around with a mandate that you must provide the access the vendor is requesting. Those are particularly fun times. Sometimes, there is a mutual agreement in the middle on what security can be used and sometimes the DBA just loses. But what about when it is not a vendor application that mandates such relaxed security for their application and database? What if it happens to be the development group? What if it happens to be a developer driven shop and you are the consultant coming in to help get things in order? I have had the distinct pleasure of working in all of those scenarios. My favorite was a client that hosted ~700 clients, each with their own database. There were several thousand connections coming into the server and every single connection was coming in as ‘sa’. Yes, that is correct. There were no user logins other than the domain admins group on the server – which was also added to the sysadmin security role. That is always a fun discussion to start and finish. The look of color disappearing from the clients’ eyes as the realize the severity of the problem. Please do not attempt this stunt at home. In a similar vain, another one that I have seen far too often is the desire to grant users dbo access within a database. While this is less heinous than granting everybody sysadmin access – it is only a tad better. Think about it in this way – does Joe from financing really need to be able to create and drop tables within the accounting database? Does Marie from human resources need to be able to create or drop stored procedures from the HR database? The answer to both should be ‘NO’. In another environment, I was given the opportunity to perform a security audit. Upon looking over things, it became very clear what the security was. Somebody felt it necessary to add [Domain Users] to the dbo role on every database. Yes, you read that correctly. In addition to that, the same [Domain Users] group was added to the sysadmin server fixed security role. HOLY COW! In this particular case, they were constantly trying to figure out why permissions and objects were changing for all sorts of things within the database environment. The answer was easy. The fix is also easy – but not terribly easy to accept. I have encountered vendor after vendor that has always insisted that they MUST have local admin and sysadmin rights on the box and instance (respectively). For many this is a grey area because of the contracts derived between the client and the vendor. For me, I have to ask why they need that level of access. Does the vendor really need to be able to backup your databases and investigate system performance on your server? Does that vendor need, or are they even engaged, to troubleshoot your system as a whole? Or, do they just randomly sign in and apply application updates without your knowledge or perform other “routine” tasks unknown to you? I have seen vendors change permissions and add back door accounts far too often. They seldom if ever are capable of providing the level of support necessary when you are stuck with deadlocks by the second or blocking chains that tie up the entire server. In addition, they are generally unavailable for immediate support when a production halting issue arises in their application – or at least not for a few hours. This is specifically in regards to application vendors. They are not your sysadmin and they are not your DBA. If they must have RDP access or access to the database – put it under tight control. Disable the account until they request access. Then a request can be made and a note documented about why the access is needed. Then the account can be enabled, monitored and disabled after a specified amount of time. This also changes when that vendor happens to be providing you IT functionality and is not specifically tied to an application. Those relationships are a bit different and do require a little more trust to the person who is acting on your behalf as your IT staff. I have shared three very dangerous stunts that are sometimes portrayed to be done by professionals. Do not try this in your environment or at home. It is dangerous to treat security with so little concern. Security is not some stunt, and should be treated with a little more care and attention. If you find yourself in any of these situations, an audit is your friend. Create some audit process within SQL Server or on the Local server to track changes and accesses. Find out what is going on and be prepared to act while you build your case and a plan for implementing tighter security. Time to sink or sail, so to speak. SQL Saturday 354 in South Carolina will mark the next attempt at what I hope to be a repeat performance – many times. I will be tag-teaming with Wayne Sheffield in this all day workshop event. The session is one of two all day sessions for the event in Charleston, SC. Jason Brimhall has 10+ yrs experience and has worked with SQL Server from 6.5 through SQL 2012. He has experience in performance tuning, high transaction environments, as well as large environments. Jason also has 18 years experience in IT working with the hardware, OS, network and even the plunger (ask him sometime about that). He is currently a Consultant, SQL Server MVP and a Microsoft Certified Master(MCM). Jason is the VP of the Las Vegas User Group (SSSOLV). If you will be in the area, and you are looking for high quality content with a good mix of enjoyment, come and join us. You can find registration information and event details at the Charleston SQL Saturday site – here. There are only 75 seats available for this murder mystery theater. Reserve yours now. The cost for the class is $110 (plus fees) up through the day of the event. When you register, be sure to tell your coworkers and friends. Not only will I be in Charleston for this workshop, we will also be presenting as a part of the SQLSaturday event on December 13, 2014 (the day after the workshop which is December 12, 2014). You can view the available sessions here. It is once again time to come together as a community and talk about a common theme. This monthly gathering of the community has just reached it’s 5th anniversary. Yes, that’s right. We have been doing this for 60 months or five years at this point. That is pretty cool. This month Chris Yates (blog | twitter) has taken the helm to lead us in our venture to discuss all the wonderful things that we have learned. Well, maybe not all the things we have learned, but at least to discuss something we have learned. Here are some details from the actual invite that you can read here. Why do we come to events, webinars, sessions, networking? The basic fundamental therein is to learn; community. With that said here is this month’s theme. You have to discuss one thing, few things, or many things on something new you’ve learned recently. It could be from a webinar, event, conference, or colleague. 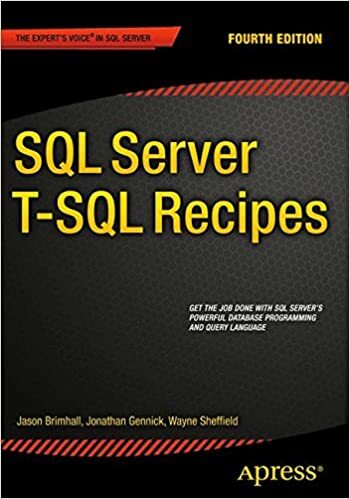 The idea is for seasoned vets to new beginners to name at least one thing; in doing so it might just help one of your fellow SQL friends within the community. The topic is straight forward but can be a bit difficult at times. This is a pretty good topic to try and discuss. I know I have been struggling for content for the topic. Which makes it that much better because it provides a prime example of how to think about and discuss some pretty important things, while trying to compile that into a recap of one’s personal progress. Let’s think about the topic for a bit and the timing of the topic. This comes to us right on the heels of PASS Summit 2014 and in the middle of SQL Intersections in Las Vegas. We might as well throw in there all of the other things like SQL Saturdays that have been happening leading up to and following those major conferences. There has been ample opportunity over the past few weeks to learn technical content. When networking with people there are ample opportunities at these major conferences to also learn about other people and about one’s self. A good example of that can be seen in a blog post I wrote while attending PASS Summit, which you can read here. The biggest learning opportunity that evolved from PASS Summit 2014 for me was the constant prodding in various sessions to break out the debugger and become more familiar with what is happening in various cases. I saw the debugger used in three of the sessions I attended. 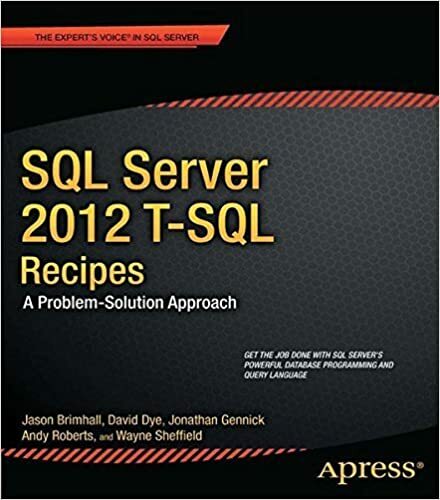 There are some great opportunities to learn more about SQL Server by taking some trinket of information from a session and trying to put it to use in your development environment. This is where learning becomes internalized and gives a deeper understanding. I hope you have been able to pick up on some tidbit that can be used to your advantage to get a deeper understanding of SQL Server. Time to sink or sail, so to speak. SQL Saturday 349 in Utah will mark the next attempt at what I hope to be a repeat performance – many times. I will be tag-teaming with Wayne Sheffield in this all day workshop event. The session is one of two all day sessions for the event in Lehi, UT (just south of Salt Lake City). If you will be in the area, and you are looking for high quality content with a good mix of enjoyment, come and join us. You can find registration information and event details at the Salt Lake City SQL Saturday site – here. There are only 75 seats available for this murder mystery theater. Reserve yours now. Not only will I be in Utah for this workshop, I will also be presenting as a part of the SQLSaturday event on October 25, 2014 (the day after the workshop which is Oct. 24, 2014). You can view the available sessions here. Time to sink or sail, so to speak. SQL Saturday 320 in Raleigh will mark the next attempt at what I hope to be a repeat performance – many times. I will be tag-teaming with Wayne Sheffield in this all day workshop event. The session is one of two all day sessions for the event in Raleigh NC. If you will be in the area, and you are looking for high quality content with a good mix of enjoyment, come and join us. You can find registration information and event details at the Raleigh SQL Saturday site – here. There are only 25 seats available for this murder mystery theater. Reserve yours now. Not only will I be in Raleigh for this workshop, I hope to also be presenting as a part of the SQLSaturday event on Sep 6 2014 (the day after the workshop which is Sep 5, 2014). I hope to update with the selected session(s) when that information becomes available. You can see more details about the topics lined up for this event – here. Time to sink or sail, so to speak. SQL Saturday 331 in Denver will mark the next attempt at what I hope to be a repeat performance – many times. I will be tag-teaming with Wayne Sheffield in this all day pre-con / workshop event. The session is one of three all day sessions for the event in Denver CO. If you will be in the area, and you are looking for high quality content with a good mix of enjoyment, come and join us. You can find registration information and event details at the Denver SQL site – here. There are only 30 seats available for this murder mystery theater. Reserve yours now. The cost for the class is $125 up through the day of the event. When you register, be sure to choose Wayne’s class. Not only will I be in Denver for the Precon, I hope to also be presenting as a part of the SQLSaturday event on Sep 20 2014 (the day after the precon which is Sep 19, 2014). I hope to update with the selected session(s) when that information becomes available.